Work the World was recommended to me by a friend who was convinced that the programmes on offer looked inspirational and that, crucially, they were a reputable company to choose to do an elective with. So for my friends and I, who were all travelling together, that was our choice made. The next step was choosing which destination to go with. 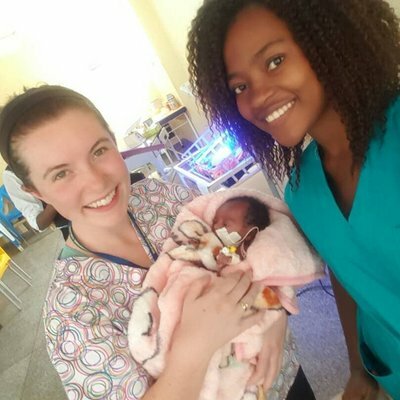 After reading many of the previous case studies written by other students, as well as talking to the Work the World team, Ghana emerged as our chosen destination. The support that I received from the Work the World team before I left was amazing. Initially, I was even debating between two destinations, but the team were really friendly and helpful, offering the pros and cons of each place, as well as some personal opinions about the destinations too, which really helped us to make a decision. The ‘MyTrip’ part of Work the World was so helpful. It is an online account that helped me organise my trip, covering everything from flight details, to insurance, to a list of what to pack. We bumped into another girl in Accra airport (wearing the t-shirts is so handy in spotting other ‘Work the Worlders’) and a very friendly, smiley Frank also met us. Frank, the assistant program manager, was reassuring with all the plans to come and explained everything in full. Because we had arrived late that night we spent the night in a guesthouse in Accra, ensuring that we were well slept and raring for the journey ahead the next day.The welcome to the house was just as friendly. The whole team as well as other students that were already in the house greeted us. Over the next couple of days we settled in and were given a full house, town and hospital orientation. The hospital was different than what I'd imagined - it is a big regional hospital offering a variety of different services. My first week was on NICU which I really enjoyed. 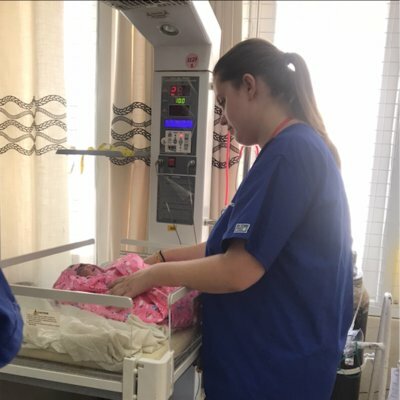 I had previously done a placement on SCBU at home so I was able to compare a lot of things! One of the best experiences was on my first day. I was asked if I wanted to go down to watch a planned caesarean section and to retrieve the new-born and bring him back to NICU. I witnessed the entire delivery, and my supervisor talked me through the process. Some days may be frustrating for students as there seems to be no sense of urgency in Ghanaian culture - they work in ‘Ghana time’. Remember you’re not there to change anything, but you can definitely learn from your experiences! I also had a placement on the general paediatric ward, a day on the delivery suite and a week with the community child health team. The team leaders out there are flexible so if you think you may like to try something different they'll be more than happy to try to accommodate you. Experiencing the healthcare services in Ghana was eye opening and interesting, but the opportunity to travel at the weekends was amazing too! We ventured off every weekend that we were there, and each group of students is made fully aware of the best trips beforehand. I would definitely recommend visiting the stilt village and spending a night in the jungle at Kakum National Park. This experience has allowed me to truly appreciate the care and services that are provided in the UK, with the security of pay and a career for each professional. 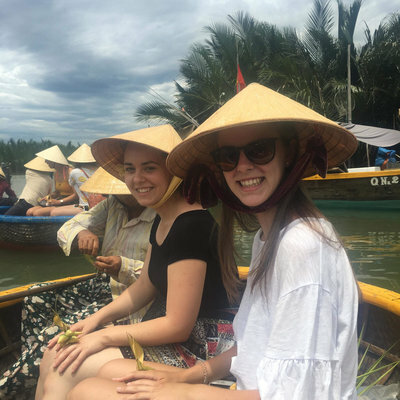 I would definitely recommend Work the World to other students thinking of doing an overseas elective! The in-country and UK based staff are all amazing and so supportive (even when we had returned home)! The staff and other students become your little family during your stay at the house!